What’s New In ClearEvent For April? 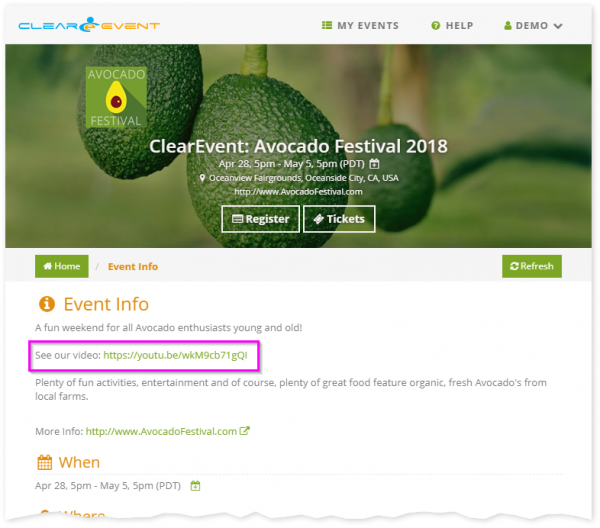 Last month the ClearEvent team shipped a number of great new features to help improve event manager productivity, as well as reduce friction for registrants in the event registration experience. A lot has been happening, so we thought we’d recap what we accomplished in April. All of these features are available today, so be sure to check them out! We’ve improved the registration experience by removing the requirement for participants to sign in to a ClearEvent Account before they can complete a registration form. This approach means that there is less friction for registrants, no password needed, and registering for your event is event simpler & faster! To take advantage of the new streamlined registration workflow, you’ll simply need to update any links to your registration forms to use the new registration form Share Link format. Registration form permalinks (permanent Share Links) can now be used to share registration forms links that will not change if/when your event is rolled over. 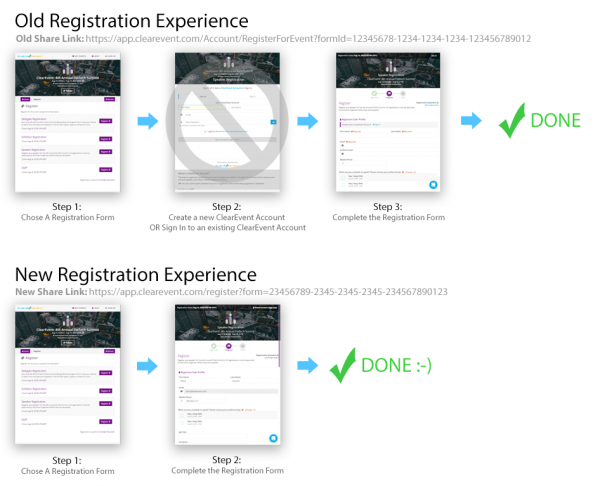 In the past, when your event was rolled over, event organizers were required to update any registration form links to point to the newly rolled over event registration forms. Now, the same registration form Share Link will still work, even after your event is rolled over. Event Organizers can now easily sign up on behalf of event guests. This is great if you have guests that are unable to register themselves, or if you already have event registrants that have been manually registered for your event through some other means. 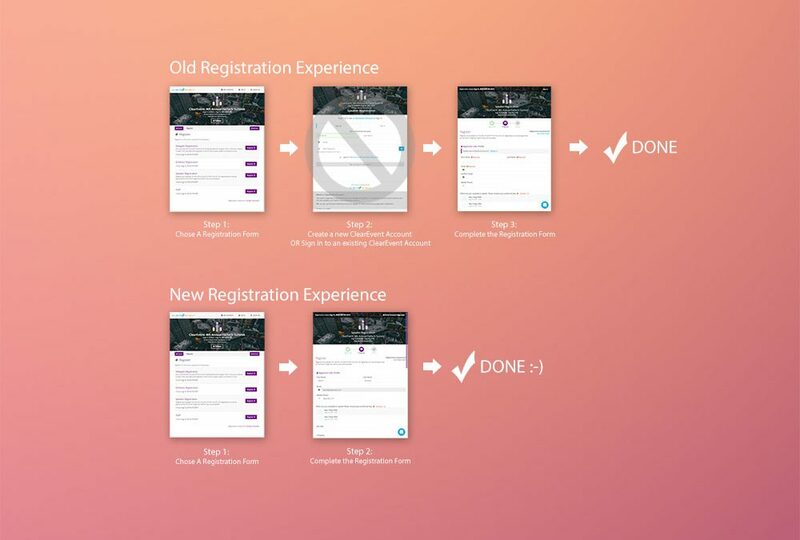 Event Organizers can simply open the desired registration form and then use the registrant’s email address & name to complete the registration form on their behalf. ClearEvent will automatically send the registrant an email confirmation when their registration is received by the system.